Despite being Australian, I had never been to Uluru (formerly Ayers Rock) until recently. My family and I took our road trip to Uluru over several weeks, stopping at all of the outback towns to learn and get a real sense of life in Central Australia. It is one of the best road trips in Australia, and it really gave us an appreciation for desert living and the resilience of outback residents. And we fell in love with the Uluru — Kata Tjuta National Park! It is home to the real heart of this country, with amazing natural wonders, and excellent opportunities for learning and appreciation of aboriginal culture. We bought a small 1970s Coronet caravan and spent months last year fixing rotted walls and making it more efficient, with a new fridge, LED lights, a solar panel and battery and more. This was our first big trip with it, and although our brand new fridge didn’t last the 5 weeks, the rest of the van held up well! On the way into Coober Pedy, South Australia. I have outlined all of the places we camped and stopped along our trip below, so you can see what was great and the not-so-great ones too. They are in geographical order even though some are close together, as we stopped at several different places on our return trip. 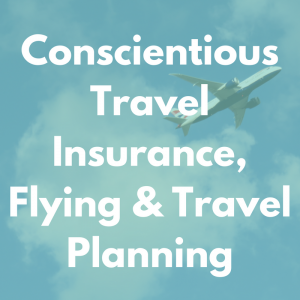 It’s not an itinerary below though, just our observations and experiences to help you decide what you’d like to see most, given your interests and timeframe. 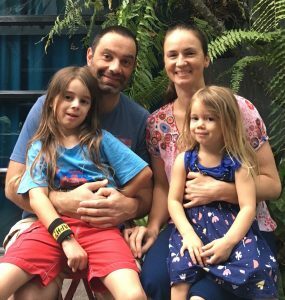 We travel slowly and stop often with young kids, and I’m sure your ‘Adelaide to Ayers Rock trip’ would be unique too. All of our favourite attractions are obviously child-friendly, but most apply to people of all ages. 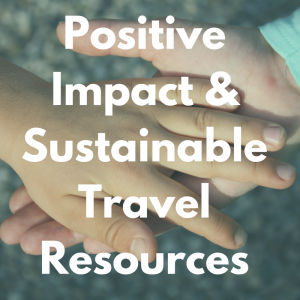 And as we always travel with a focus on sustainability and ethical experiences, I have some insight on these areas as well. 12 Was this trip sustainable? Getting to Uluru takes some planning: it’s a long way from pretty much everywhere! We think the best way to get to Uluru is by driving yourself, because you get to choose your stops and set your own pace. If you have the time, supporting the small outback towns along the way is a great way to spread the benefits of your travel income too. It’s also fun and interesting with unique places to explore, and the roads are easy to drive on. The Stuart Highway and Lasseter Highway are fully sealed, so 4 wheel-drive vehicles are not necessary to get there. There are also Adelaide to Uluru tours by bus available, and the Ghan train takes passengers from Adelaide to Alice Springs, which is four and a half hours from Uluru. There is a bus from Alice to Uluru and shuttle buses from Ayer’s Rock Resort to Uluru and Kata Tjuta, too. And of course you can fly there: Sydney, Cairns and Alice Springs have have direct flights to Uluru, and you can connect from any other Australian city if necessary. (Flights from Adelaide will include a stop at one of those cities before reaching Uluru.) Flying may be much faster, but we think you’re missing out on an amazing Australian adventure if you don’t try driving to Uluru. It’s truly the best way to see how vast and varied this country is for yourself. The total Adelaide to Uluru distance is 1,600 kilometers, or 994 miles, if you stay on the direct route via National Highway A87. The distance from Adelaide to Alice Springs is similar if you’re going directly. Total driving time from Adelaide to Uluru is 17 hours, so we definitely recommend breaking up the trip into several days. There are some great little towns to explore along the way, with Coober Pedy being the largest and most interesting (for us anyway). It was great to see many road signs in multiple languages along the way. Most people agree that the best time weather-wise to be travelling through the desert and into the Northern Territory is over the cooler months of May — September. Winter in Australia is June, July and August, and though the nights are very cold in the middle of the country then, the days are pleasant and lovely for exploring. We left in late October and travelled at the start of the low season. October and November are much warmer months, but still not the full brunt of a harsh Aussie summer. It was a lovely time to travel actually; we got lucky and had a couple of mild days even in early December. And because it wasn’t the peak season there was less traffic on the roads, less travellers in all of the places we stayed, and Ayers Rock resort had a special on which gave us a free night’s stay for every two we paid for! The best thing about travelling in the off-peak season, is that our visit didn’t put extra pressure on a very popular tourist attraction or the towns along the way. 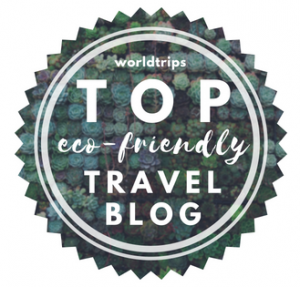 Overtourism is a real thing, and though the attractions themselves must limit the amount of visitors to avoid negative consequences, we also have a responsibility to be aware of our impact. If it is possible for you to travel to superstar destinations away from peak times, please go then. You’ll be rewarded with less crowds and better prices usually too! This trip takes you into some harsh conditions, and it pays to be well prepared. As phone service is non-existent in some big stretches along the way, it is wise to have a up-to-date road atlas with you. It is a vital item if you are likely to explore areas off the main highways. We took one with us and did refer to it a couple of times, even though we didn’t get completely lost! I highly recommend this book for any travels within Australia. I also bought this beautiful book called Welcome to Country: A Travel Guide to Indigenous Australia, and I highly recommend it whether you are Australian or coming from overseas. Professor and Elder Marcia Langton gives a brief but useful information about aboriginal culture and history, art and dance, languages, storytelling, and etiquette tips. Then she outlines all Indigenous tourism operators, art galleries and museums, open communities to visit, festivals and events and more by state across Australia. It’s an excellent reference for any responsible travels within Australia, to ensure you can learn from the source, and that aboriginal people benefit from your travel income, too. You will need a fly net for your face. Once you get into the desert you’ll see why! But don’t worry if you don’t get one before you leave, as every outback fuel station, pub and tourist spot has them for sale. We took along a basic esky (ice-cooler) and were glad we did when our fridge stopped working. Small eskies are always handy, and having a good one on hand will save you buying a sub-standard one out of desperation. Ours wasn’t awesome so I won’t recommend our brand, but I will advise you to ensure yours has a tap or valve to let out your melted ice! Ours didn’t and it was a giant pain to empty. You will also need a large water container on board, especially if you’re planning to free camp or stay in one of the caravan parks in Coober Pedy. It’s always wise to have a lot of water on you for desert trips, just in case you break down or something unexpected happens. We bought this 22 litre BPA-free container and it was excellent. First and foremost, an attitude of respect and wonder for the Australian landscape and its traditional owners. Exploring the heart of Australia is a privilege and is not possible in some protected areas. Leave no trace of your visit behind, by staying on designated paths and never littering, and no touching or feeding wild animals. Support people who live remotely rather than exploit them, by taking time to chat and being understanding of increased prices as you travel further inland. Uluru is as far from anywhere as you can pretty much get, and resources have to be transported from elsewhere for modern life. This means that prices for everything are more expensive than coastal areas of Australia, and retailers have no choice about that as they pay more too. Yet, some tourists are abusive or complain about the prices every step of the way, and this makes everyone’s experience miserable. And please note: aboriginal people are not photo opportunities. So many tourists take their picture without their consent, which is rude in any case, but is especially demeaning for those people who NEVER want to have their photo taken. Many indigenous Australians do not ever want to be photographed, and their beliefs and wishes much be respected. We take our amazing insulated water bottles everywhere. They keep water cold all day, never leak, and save money and plastic waste from purchased bottles. We also took our own water filter in our caravan to refill our bottles from. If you don’t have the space for that, buying 10 litre or larger casks of water is better than buying small water bottles each day. You can also refill your large container at several stops along the way with drinking-quality water, so having your own bottle to drink from is very handy. If you have the facilities to make a lot of your own food, you will not only save money, but you’ll save a lot of take-away waste and plastic wrappers from being used. I have outlined some great places to stock up on bulk foods below, so you can make food from your supplies and keep your costs and waste to a minimum. Allegra eating packed lunch in the car with our reusable travel essentials (outlined below). Yes there’s chocolate in there! I definitely recommend these leak-proof containers to take along. I was so glad we had them, both to keep spills leaking out, and to keep melted ice from coming in when we had to use the esky daily! They were indispensable. I also used them for take-out food sometimes when we couldn’t cook, and was happy to find a few places who were open to using them rather than their own disposable plastic ones. And whether you can make your own food or not, having a couple of food wraps and pockets on hand is handy too. You can ask at cafes for sandwiches and wraps to be put in them, and can fill your snack packs with bulk foods or from a larger packet, rather than buying small individual ones. Every bit helps! And large wraps (from fabric or wax) are also great for sealing leftovers, and for use as an impromptu table-cloth or plate too! We also took our Fridge to Go insulated lunch boxes, that keep food cold for eight hours with their own ice pack. They were wonderful for the long car trips, as I could pack them full of snacks and lunch and know the food would last all day. Plus each person could access theirs whenever they wanted to, and we didn’t have to stop to access the esky. 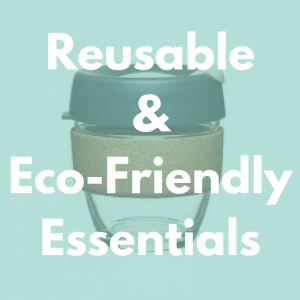 Of course, always take reusable coffee mugs if you’re partial to a hot drink. We were able to use ours everywhere we went, and we often made our own drinks for the car with them too. To save space in our van, they were the only mugs we took with us. And never leave home without reusable shopping bags and produce bags, washable straws (if you use straws) and napkins, and a little cutlery kit. We loved these awesome little tritan sporks as they’re lightweight and small, do not leach, and perform 3 functions from one tool! Finally please note, most places you visit in Adelaide and Central Australia will not have recycling services beyond glass bottles and metal cans. Please try to reduce your waste altogether, and if you have the space to carry the rest of your recyclables with you, please do it. You will divert many items from entering landfill that really don’t need to be there. If you, like us, do not live in Adelaide, you’ll be arriving from elsewhere and will possibly need somewhere to stay. We came from regional Victoria; many arrive from Melbourne, Sydney, Perth or Canberra to commence this trip. If you’re coming from the east, Renmark/Paringa are lovely river towns to explore. We stayed at the Paringa Caravan Park and really enjoyed it. The owners are very thoughtful and helpful, the park is clean and inviting, and their solar-heated pool is awesome! And it was less expensive than the larger park in Renmark. The excellent Woolshed micro-brewery in Renmark is worth a visit while you’re in town, even if you don’t drink (like me!) Ant confirms their beer is really good, and their hard lemonade has a great reputation too. It has the most picturesque view of the river, historic building to explore, and you can cook your own lunch there or buy some local snacks. And they are conscious of their environmental footprint with on-site own solar panels and a zero-waste policy. Adelaide caravan parks are mostly concentrated around the beaches, but there are a few in the city as well. They’re all similarly priced and all of the big chain ones have similar features and facilities. We stayed at the Discovery Parks Adelaide Beachfront in Semaphore on this trip, and at the Big 4 Park at West Beach previously. Both have great access to the beaches, heaps of play equipment for kids, and are clean and well-maintained. Below is the access from West Beach caravan park. Adelaide accommodation is plentiful at most times of the year, and there options to suit every taste and budget. But if you’re heading there in February or March, it pays to book well ahead as there are many festivals and events on each year. Adelaide is a lovely little city that is easy to navigate, with many attractions to explore. This great post details a huge range of things to do while you’re in Adelaide. If you’re not fussed about the beach, want a cheaper option than the caravan parks in Adelaide, or want easier access to the famous Barossa Valley or Clare Valley (wine regions), we have a great option for you! We really enjoyed our stay at the Gawler Gateway Tourist Park. Gawler is a bit further north of Adelaide, and this gem of a park has a more personal touch than the big coastal ones. As well as excellent hospitality the park has a nature reserve where you can spot kangaroos while cooking dinner. Even though it’s off the main highway into Adelaide, the park is very quiet and private, too. I really appreciated the way the owners are replanting native trees in the nature reserve themselves, their community herb gardens, and their full recycling facilities which include separate waste streams. And this park was the only one we visited who allowed me to bury our compost in their garden. Before heading north and into Central Australia, stock up on any reusable and bulk supplies you might need. From Gawler the best place to go is the Munno Para shopping centre. The Go Vita health shop has a great range of stainless steel water bottles, bulk-sized natural shampoo and conditioner, reusable mugs, foldable shopping bags and backpacks, and bamboo pegs which we needed. Also, the excellent Romeo’s Foodland supermarket has a huge selection of bulk foods, including bakery items, sweets/candy/lollies, dried fruit and nuts, plus organic and loose produce. I spotted some bamboo dinnerware in there too. From Adelaide, try one of these stores to get your bulk and reusable supplies. Perhaps call first to ensure they have what you need. This small town has a couple of options for caravans and camping, and we chose Bowman Park which is 5 minute’s drive out of the township. We camped there on our way back to Adelaide and all agreed it was our favourite place of the trip, apart from Uluru of course. It is a free campsite for a maximum of 48 hours, and on our second night we were the only ones there. Bowman Park has many amenities like public toilets, BBQs, tables and chairs, lovely walking trails, a native garden and historic buildings to explore. There is also a cubby house which our kids appreciated, and a huge grassed area that is great for ball games and frisbee. And we hiked around the area and climbed some steep hills, which rewarded us with amazing views and a lot of fun! Wild animals are plentiful around the beautiful campground, and we spotted a mama kangaroo, a goanna and many different birds. And while he’s not native, the resident peacock was a delight to discover! I think he lives at the caretaker’s property and he just wanders about wherever he likes. He came right up to us on our first night to enquire as to who were were, which Dante and Allegra couldn’t believe at first! Observe wildlife from a distance and take care not to disturb or feed them. Even though the peacock was obviously quite tame, we did not feed him or try to pat him. Human food is not meant for animals, and encouraging them with food bribery can make them unwell and/or aggressive. It also makes wild animals dependent on humans, altering their natural behaviours. Ok, so our plan was to stay for three nights on our way to Uluru at one of the best camping spots in Australia, Mambray Creek campground in Mount Remarkable National Park. We paid our Park fees and were stocked up and ready to camp with only solar power. But halfway up Mount Remarkable — which was incredibly beautiful with kangaroos bounding around beside us — we had to abandon the climb or we would’ve blown up our car’s engine and/or lost our brakes. Approaching Mount Remarkable. Doesn’t look very steep does it! It seems that towing almost 2 tonnes uphill is not great for even a 4-wheel drive! We had never attempted it before as our home town Mildura couldn’t be any flatter. So unfortunately we missed out on the beautiful campsite (and lost our fees) but at least we could still drive our car hey? If you’re camping with a tent or have a much more powerful towing vehicle and are confident climbing steep inclines, Mount Remarkable would be an awesome place to spend a night or three. But if not, don’t even try it! Also there is limited phone service within the National Park, so ensure to know what you’re doing and let others know where you are headed. We needed to find somewhere to stay and it was already late in the afternoon when we came back down Mount Remarkable. Phone service kicked back in so I checked my Campermate app to see if there were any free camps nearby. Yes! One off the side of the road in the direction we we going wasn’t too far, and though the entrance point was a little tricky to find, we got there and set up just before it got too dark. Our view in the morning from Horrocks Pass Park. We also met another travelling family and some campers heading to Uluru like us, and it was a lovely night in the end. It’s a great little spot if you just want a free stopover along your travels. But be sure to have water and toilet provisions as there are no facilities there. Leave no trace wherever you camp. Take all rubbish out with you, but don’t remove natural items from your campsite. Port Augusta is quite a large town situated on the Spencer Gulf. Many travellers choose to rest overnight in Port Augusta instead of the smaller towns we camped at, and there are several look-out points plus a gallery and cultural centre to explore. We didn’t stay in Port Augusta but did stop at the Australian Arid Lands Botanic Garden on our return trip, which is just north of the town. The Arid Lands Gardens are an outback delight! They was established in 1993 “to research, conserve and promote a wider appreciation of Australia’s arid zone flora”, and the many different displays do a great job of showing just how diverse and fascinating the ecosystems are. The whole complex is run with a focus on sustainability, and also educates visitors about water-wise gardening with their award-winning AridSmart garden displays. There is also a children’s garden which our kids enjoyed, and a great cafe on the premises which serves meals, snacks and bush-foods ice cream featuring amazing native flavours like lemon myrtle, quandong, wattleseed and wild desert lime. We weren’t disappointed! A “woomera” is an aboriginal tool which helps boomerangs go further. The town may be named after an indigenous weapon but it was established by the Australian Air Force in 1947, and is only a small part of the huge area that served as an aerospace and rocket testing range. There is a free visitor centre in Woomera which details a lot about when the town was created and how it operated. They also have a small display about the aboriginal people who inhabited the area around Woomera before the town was created, featuring the (white) men who were appointed as Patrol Officers to try to safeguard them. It briefly refers to the atrocities that the aboriginal people faced as a result of being displaced and the military’s nuclear testing, but does not go into any detail or apology. There is also a Rocket Range Museum inside the visitor centre, which costs a small fee to explore, and a free outdoor museum with planes and military equipment in the main street of Woomera. Dante enjoyed inspecting them all, especially the real planes and equipment that he could touch and read about. I found it to be quite depressing, though the satellite launch projects were interesting to learn about. Dante tracking a rocket in the Woomera Rocket Range Museum. If you’re staying overnight, many visitors report that the Woomera Baker Observatory is excellent. Seeing the stars in the desert is the best place to view them, but don’t worry if you’re moving on as there are other observatories further north too. There is only one caravan park in town, the Woomera Traveller’s Village and Caravan Park. It was mostly being used by railway workers when we were there in the low-season, but has room for many travellers passing through. Sites aren’t very expensive but there is also little shade, and the facilities are old and poorly maintained. Spot the odd van out! At the Woomera Caravan Park. Rooms and cabins are also available, or there is a pub in town which offers another accommodation option. Don’t feed the pigeons that hang around the caravan park! And Woomera only has a small supermarket with an even smaller range of food, so it pays to be prepared before staying overnight. This is an interesting stop over with shaded tables and chairs if you’re eating or staying overnight. There are no other facilities there. The lake contains huge amounts of salt and it was mined until 1930’s. There are some informative displays about outback South Australia too, and it’s good to see the traditional owners of the land, the Kokatha people, being acknowledged. This the biggest of the outback towns on the way to Uluru, and is a very unique place. We stayed for two nights as we were keen to explore Coober Pedy, and it was so enjoyable, we stayed for another two nights on the return trip! It is just about in the middle of the whole road trip, and being the largest town along the way with several accommodation options to choose from, it’s a sensible place to stop if you have limited time to drive to Uluru. The distance from Adelaide to Coober Pedy is 846km, which takes almost nine hours, and the distance from Coober Pedy to Uluru is 755km, another eight hour drive. On the outskirts of Coober Pedy, hundreds of opal mine sites can be seen. The most unusual thing about Coober Pedy is that residents live underground. Temperatures can reach over 50°C in summer (thats 122°F) so living underground is a naturally cooler place to be. Even though they get so much sunshine, residents reportedly have one of the lowest Vitamin D levels in the world! Seems those cosy dug-out dwellings are just too inviting. Coober Pedy was settled as an opal mining town in the early 1900s, and still today hopeful prospectors are making claims and mining areas around the township regularly. It is a very remote town which relied solely on diesel generators until 2017, when solar and wind farms were installed. They now provide 70% or more of the town’s power requirements. Water in Coober Pedy is very precious as it comes from a bore 25km away. It’s filtered by reverse osmosis so is excellent quality for drinking, and you can refill containers for a small fee on the main street. The supermarket is also very good, surprising us with its large range of healthy and bulk foods available! Being a mining town, Coober Pedy has many opal stores and tours to choose from. We took a tour from our first accommodation provider, who has a mine on the caravan park property. It was interesting to learn about how the mines are created and how opals are found, and having a go at divining rods was fun for the kids to try. We loved this place! The owners have great relationships with aboriginal artists and stock a huge range of amazing artwork, including Tommy Crow who is an annual resident there. We bought some small prints of his as we all loved his colourful and unique style. And as the name suggests they also run a kangaroo orphanage, and they take in other Australian animals too. All of their animal care is self-financed and supplemented by donations, even though they are the one of few places taking in injured or orphaned wildlife in the whole South Australian outback. You can help to feed the adult kangaroos at the designated times each day, and these are the only times visitors are allowed to see them. None of the animals are treated as zoo exhibits and each is respected and well-understood by their owners. They cannot be released back into the wild after they have been hand-raised, so Josephine’s cares for them throughout their life. Dante and Allegra loved feeding them and getting to see a little female joey too, and we made a donation towards their future care afterwards. Along the main road into Coober Pedy there is an outstanding playground complex, with several options for younger and older kids to enjoy. It is mostly shaded, and next to the play areas is a skate park, that unfortunately is in full sun. We spent a lovely morning there before it got too hot, and would recommend it to any family looking for a great play space for their children. Keep an eye out for the huge decorated tyres off the main road, as they are in front of the playground. There is also a small section of gym equipment for any teens or adults needing some workout space. We love bookshops, and we really loved this unique store. It is beautiful and cool inside, and stocks an eclectic range of new and second hand books, and some souvenirs and maps. It a lovely way to escape the harsh weather if you love browsing shelves like us! Grab a cuppa at the Downunder Gallery and Cafe, which is a coffee shop adjacent to the underground bookshop. The staff are very friendly and accomodating, and happily obliged using our reusable coffee cups. They also had a variety of plant-based milks to choose from. Our first stop was at Riba’s which is a 5 minute drive from the township. If you’re camping in a tent, you can camp underground there! They had large shaded bays for caravans, and clean, though dated facilities. The cactus garden was stunning, but the camp kitchen was very basic and did not have a shared fridge to use. Reba’s does not supply water to caravan sites either, so you’ll need to fill your tanks in town or bring some with you. We found it strange that the owners kept locking the toilets after cleaning them during the day, as guests aren’t given keys. Poor Dante needed to go one day and had to settle for a spare toilet inside a tin water tank, which was incredibly hot and stuffy. However as mentioned above, we took our opal mining tour here, and it was well done. If you’re only stopping overnight and want somewhere unique to stay with the chance to see at a former opal mine in the evening, Riba’s is a good choice. Entrance to the old opal mine at Riba’s. On our return trip we had planned to free camp along the highway, well before reaching Coober Pedy. But when we reached the campsite we wanted, its water tank was empty and we didn’t have much on board, so we had to continue on. We didn’t find another suitable spot until the outskirts of Coober Pedy, so we filled up our water tank in town and just settled for the night there. The campsite is on the southern side of Coober Pedy, and is very flat and exposed. The night we camped was unfortunately very windy, and we felt like we might blow away all night! It wasn’t the most restful camp but at least it was free I guess. I felt sorry for the campers in tents that night! This small park within Coober Pedy had much newer facilities than Riba’s, and a great camp kitchen. Sites are also shaded and there’s a communal games room with a large TV and some paid channels. It is a good idea and we watched a movie there, but unfortunately there is no air-conditioning in the room so it gets very hot! Oasis charges 20c for 3 minutes in the shower and for use of the gas burners, and they can supply water to caravans for a small extra fee. I seem to have missed getting photos of that windy free camp and our night at Oasis, sorry! Now you’re in the Northern Territory, which is a different time zone to South Australia. We forgot about the difference, and with no phone service to automatically update our mobiles, we sauntered in and ordered dinner at the Kulgera pub at 4pm! Kulgera is a real outback Aussie roadhouse, and it claims to be the most central pub in Australia. (Yet so does Erldunda a bit further down the road) It offers cabins, motel rooms and cheap camp sites that include power, water and use of their pool. No camp kitchen is provided though, and the meals inside the pub are quite expensive. I was able to get a fully vegan salad off the menu though, which was a pleasant surprise. My lovely salad at the Kulgera pub. On the night we stayed in Kulgera, a big storm was coming through. We watched the lightning show for awhile as it was getting closer, and were glad we’d eaten dinner so early, as once the storm hit is was a beauty! Watching the lightning show as the storm rolled in. Closer to Uluru again, Erldunda is at the intersection of the Sturt and Lasseter highways. It is still a 3 hour drive from Erldunda to the Yulara township (closest accommodation to Uluru), and another half an hour again to reach Uluru, or an hour to reach Kata Tjuta. So while technically you could stay at Erldunda as a base for your Uluru explorations, it is a lot of driving time each way. Like Kulgera, they offer motel rooms, camp sites and a pool. We didn’t stay overnight at Erldunda, but stopped there for fuel and a cuppa. It was a very busy place, packed with tourists. I didn’t realise they had an emu attraction on site, and we probably wouldn’t have stopped there if I did, as I really dislike animal enclosures. The emus did seem well cared for and had a lot of room to roam at least. They also have some kangaroos and a camel on the premises, which we didn’t see but their website says have been rescued and given a home at Erldunda. Choose Kulgera (which is an hour and 20 minutes away from Erldunda) for fuel or an overnight stop if you want to avoid animal attractions. The final stop of our road trip was the town of Yulara, which is where Ayer’s Rock Resort is located. It has many amenities such as a post office, a (very busy) supermarket, a fuel station, restaurants and cafes, several accommodation options, a town square, a small hospital, and nearby, the Connellan or Ayers Rock airport. We stayed in the Ayers Rock campground, which is huge! Even though we visited in the low season there were still quite a few people staying at the same time as us. It must be absolutely packed during peak times; there is even an overflow area for campers who cannot fit in the actual campground. The campground has power and water available for van sites, and huge, well-equipped camp kitchens for non-powered travellers. There is also a great pool, large playground, small mini-golf course, and several lookout points to view Uluru and Kata Tjuta from. Allegra enjoying the playground at the Ayers Rock campground. We loved our stay at the Ayers Rock campground: it was great to see how such a big tourist attraction manages so many visitors each year, and to get to know fellow travellers as we settled in for ten days. It was comfortable there and easy to get around the rest of the resort, too. I have a detailed post about our stay at Ayers Rock Resort to explore the Uluru – Kata Tjuta National Park, covering the huge range of activities suitable for families, as well food options and responsible travel information. As you can see, we did everything we could to reduce our impact as we travelled with our caravan. We composted and kept our rubbish with us, we used our own gear and had short showers too. We made our caravan as efficient as we could and used our own solar power along the way. And we opted for a small van so it was light and would use less fuel — or so we assumed. Once we got going it became apparent that we would be using a great deal of fuel. When all packed up the van weighed 1.7 tonnes, which isn’t huge compared to some new models. However it’s boxy shape, and perhaps our older-model 4 wheel-drive, meant that we weren’t getting good fuel efficiency along the way. See below for the final calculations. We also opted for the older, diesel-powered car so that we could convert it to home-made biodiesel if the trip was a success. But to keep travelling with our van we would also need a great deal of used vegetable oil, which is harder and harder to come by. Plus the actual conversion is difficult, and filtering the oil would need to be done on the road, or we’d carry a lot with us, making us even heavier! It’s possible and a few people are travelling that way, but for us it’s too much work with unknown outcomes to be viable at this stage. I've finally calculated our fuel use and carbon emissions from our road trip to Uluru. We didn't think it would be too much as our van is quite small and light, but once on the road it quickly became clear that we'd be using much more than we'd realised. We always seemed to be filling up! And often had headwinds which didn't help. Here are my final calculations: . – 4,888 kilometres driven from Mildura to Uluru and back again. – 939.69 litres of diesel used, which cost: – $1,561.94! Prices of diesel ranged from: – $1.40/litre in Mildura to $2.29/litre at Ayers Rock Resort – 5.2 kms/litre average fuel efficiency, or approx 20 litres/100kms – 2.69 tonnes of CO2 created from our trip, which cost: – $67.25 to offset through the Carbon Neutral Charitable Fund. . Our fuel efficiency is pretty poor, especially for a small van. Average rates are more like 15-18 litres/100kms. As it's so old it is not a very aerodynamic shape, which is probably the main problem. . If we went all the way around Australia like this as we'd planned to, we'd use another 4,000 litres of fuel, and generate 11.44 tonnes of CO2! We could all fly to Mexico from Melbourne and only generate 9.03 tonnes!! . We had always hoped to convert to biodiesel if this initial trip went well, but that won't work out. We have spoken with an expert on conversions and confirmed that it's a big outlay of money and time to convert it, plus there are no guarantees that used vegetable oil will be easy to come by. And we'd have to carry a lot of it on board, or just hope to find it and rely on diesel when we couldn't anyway. . So we're glad we made it to the heart of Australia, as Uluru was the top of our list of places to go here. Our next moves won't be a big road trip around this continent, but one day we might with a solar-powered van! That would be ideal! (I have enquired and it's a HUGE investment, definitely not ready for that yet). I'm looking forward to more advancements in alternative power and fuel in the coming years. So it was as sustainable as we could make it, but we still created more carbon emissions than we’d hoped to. I have offset our emissions with the Carbon Neutral Charitable Fund, as I do when we take flights. Road trips with just a car and a tent or accommodation along the way will be our style now, until we can get a fully solar-powered van one day! We really enjoyed our time visiting these unique and fascinating outback towns and campsites on our road trip to Uluru. I hope we’ve inspired you to take the drive (sustainably) one day too! Great post guys! Very in depth! Also love the responsible travel tips. Especially planning the trip at off peak seasons to reduce pressure on the site. I think a lot of people don’t consider this when travelling to natural sites. Apart from being a better experience anyway (having less tourists around) it’s also much better for the site itself! Thanks Aaron! Appreciate your feedback and glad you found it helpful. Hope you get to visit Uluru one day! Next story Family adventures at Uluru: it’s a great place to travel with kids! Previous story Fair features are not best. So why are blonde-haired, blue-eyed kids treated as special?